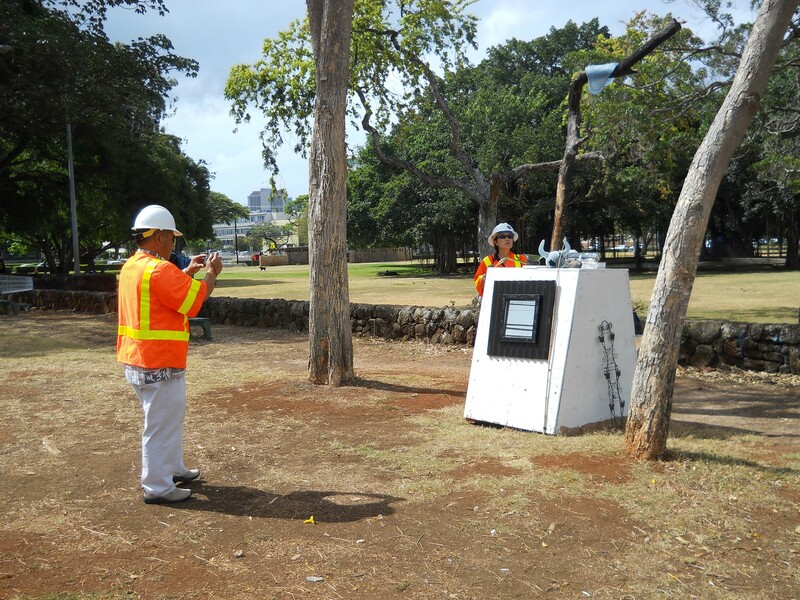 Iʻm trying to keep up with the number of times the Honolulu Police Department (HPD) and the City Department of Facilities Maintenance (DFM) has raided the (De)Occupy Honolulu encampment and either tagged or seized and trashed property. Iʻll have an authoritative list in a few days. I reported the raid on May 30 as a tagging raid and sure enough, on Thursday, May 31, HPD and DFM showed up, taped off the area to appropriately place themselves in a "crime scene" and proceeded to seize and trash works of art produced for the Off Art After Dark event on May 25. 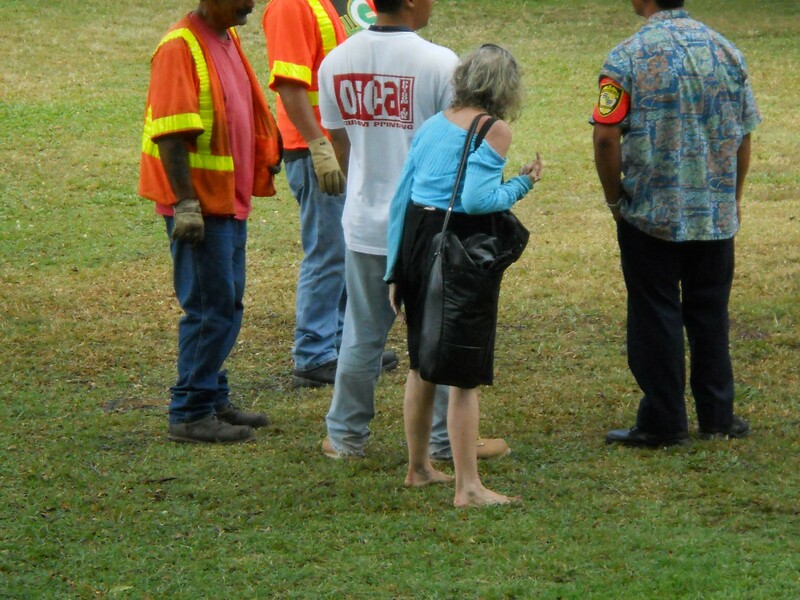 In order to get around the provisions of their own ordinance, HPD/DFM have been declaring property as trash (without value) and disposing of it rather than impounding and storing items to allow people to reclaim "stored" items. The pieces were paintings, glassworks, etc. and bona fide works of art by recognized artists. And what I mean by work of art follows the current definition of an esthetics based commodity with an exchange value in excess of its utility value. Here are some Flickr sets of the raids, but first, I want to point something out. The encampment has always stood. Even when it has completely been seized (as in the raid of 12/29/2011) it has been immediately rebuilt. 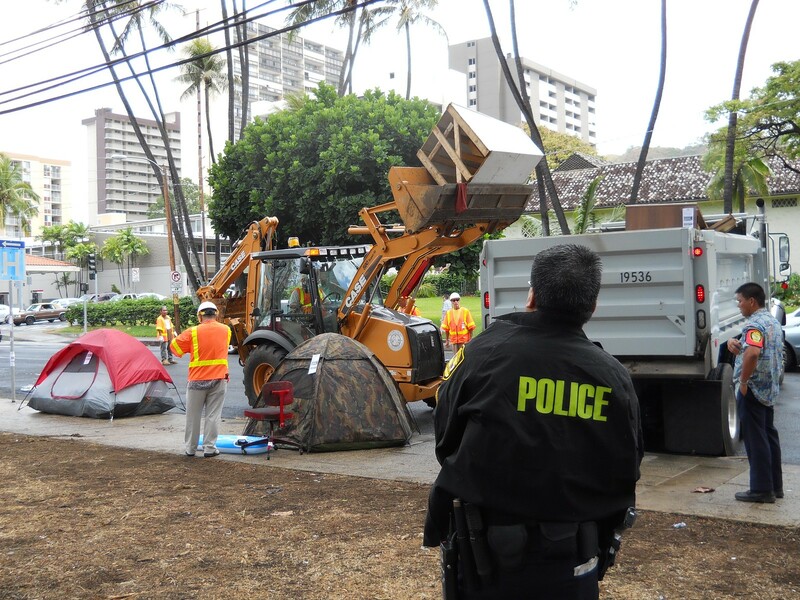 It is currently the longest running encampment in the Occupy Movement Worldwide. 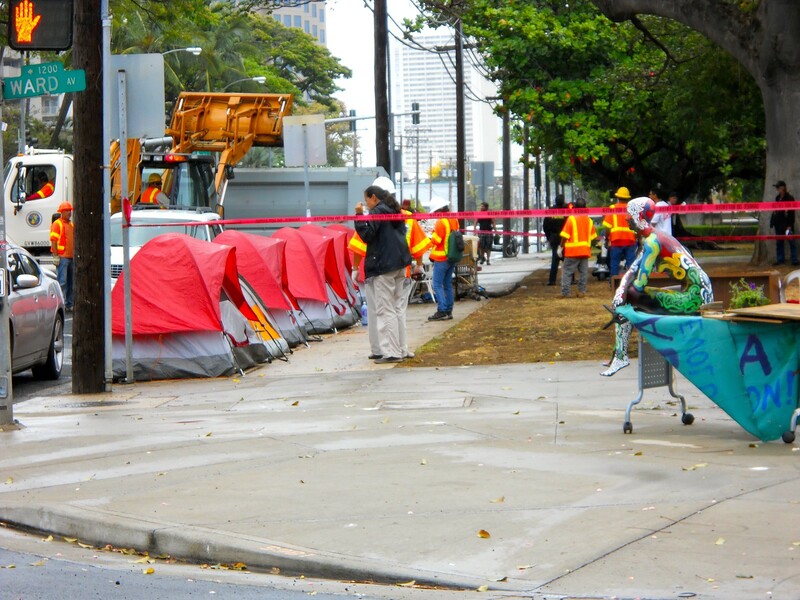 Especially disturbing to me is HPD and DFM treatment of the houseless encampment down the block at the Victoria Street corner. Those without private residences must reside in public. To deprive them of the right to possessions, especially those required for "acts of living" is dreadfully wrong. To take everything from people and set them out on the street without shelter, clothing, or food, is criminal. More about this in later writings. Art piece "Samanikination" looks on unperturbed. Click here for more photos. I must go to sleep now. See you in the morning. have you ever submitted anything to occupy.com?